The Province of Nova Scotia began setting aside areas for the protection of wildlife in 1915 when Port Joli estuary was designated a provincial sanctuary. Provincial sanctuaries were established at Port L'Hebert estuary and Sable River in 1919. These three areas became federal Migratory Bird Sanctuaries in 1941 and are now managed by the Canadian Wildlife Service. The first inland sanctuary was Tobeatic Park, created in 1927. It later was designated a sanctuary and eventually became a wildlife management area. The 1934 Annual Report of the Department of Lands and Forests explains the reason for establishing sanctuaries. For example, the Tobeatic Sanctuary was considered to be one of the last strongholds of beaver which had been extirpated over much of Nova Scotia by poorly regulated trapping. Beavers were live-trapped in the Tobeatic and moved to the other sanctuaries and other parts of the province. This played an important role in the recovery of beaver, which are now common throughout most of the province. Wildlife management in Nova Scotia has changed a lot since the 1930's. 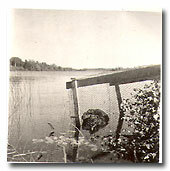 According to the 1933 report of the Inspector of Game Sanctuaries, predator control was part of the duties of the wardens who patrolled the sanctuaries. In the winter of 1932-33 the wardens snared 42 bobcats in the Tobeatic. During 1933 they trapped and killed 15 bears. In addition to this, the Inspector recommended the wardens be supplied with .22 calibre rifles to shoot owls. Today this would be considered a shocking waste of wildlife. 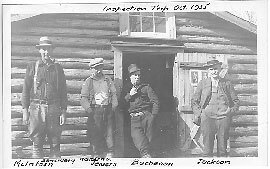 Even in the 1930's it was recognized that the future would bring changes in public attitudes and wildlife management. The following quote is from the Department of Lands and Forests 1935 Annual Report. Banding small birds on coastal islands. Today, as predicted above, most people are aware of the importance of wildlife conservation. A more scientific approach to wildlife management has made it unlikely that, for instance, beaver will ever come so close to extirpation in this province. Also, careful monitoring and regulation of wildlife harvests have largely replaced the need for large no hunting areas. However such areas are still considered useful where unusual concentrations of wildlife are vulnerable to site specific threats. A good example of this would be important waterfowl wintering areas. Modern wildlife management areas also provide other more creative opportunities to regulate the harvesting of wildlife. For example, the number of waterfowl hunters in a wildlife management area can be controlled by restricting the number and location of hunting blinds. 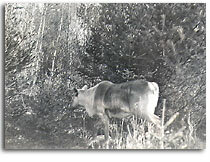 Hunting techniques can also be regulated, for example by opening an area to bow hunting but not rifle hunting. In the Nova Scotia Wildlife Act , sanctuaries and wildlife management areas have virtually identical sections governing establishment and use. Both areas have legally described boundaries, and regulations can be tailored to control activities within these boundaries. There are other sections of the Wildlife Act and other legislation that can be used to address issues such as safety. Kelly Dam site -Chignecto Sanctuary. Regulations for some of the sanctuaries and management areas are available on-line here.